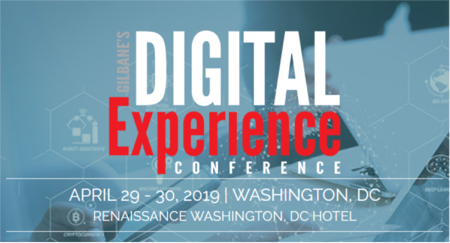 Gilbane’s 2009 research on multilingual content indicates that global companies are making steady progress towards overcoming language afterthought syndrome – a pattern of treating language requirements as secondary considerations within their content strategies and solutions. This presentation delivers insight into how market-leading companies are adopting content globalization strategies, practices, and infrastructures that position language requirements as integral to end-to-end solutions rather than as ancillary post-processes. The session is designed for content and language professionals and managers who need to know how to bring capabilities like automated translation management, terminology management, multilingual multichannel publishing, and global content management into the mainstream. Takeaways include data and case studies that can be used in business cases to move language requirements out of the back room once and for all. I recently had the pleasure of interviewing Candy Moss, Creative Director with Translations.com, to discuss the importance of multilingual global brand management as a success criterion for global organizations. LC: What role does a creative team play within Translations.com? CM: Our Creative Team operates as a resource to our corporate clients’ marketing and advertising teams. Our Multicultural Marketing Department provides cross-cultural branding research, copy transcreation, and image consulting services as part of Translations.com’s core service offering. LC: What is your background? CM: 20 years in multicultural marketing consulting, with a background in content and creative design; my experience at Translations.com has increased my expertise in Hispanic markets in the U.S. as well as global markets considerably. LC: How large is the Creative Team and what kinds of tasks are they involved with? CM: We have close to 20 full time staff across multiple, global production centers. We also contract copy writers, graphic designers, and linguists. Our tasks include researching the impact of brand names, package design, website layout and content; any elements that impact of the global products nuances such as tone, style, design, content, format, color and illustrations. LC: So that means your team does both transadaptation and transcreation work, correct? For global branding projects, which skill set is needed most? CM: Both are important. However, adapting marketing messages has more to do preserving the concept (of the message) and changing the execution than with word for word translations. The example on “The Lighter Side” of our Web site demonstrates the challenge of dealing with the intricacies of culture. LC: What kinds of research does the creative team rely on? CM: We have extensive qualitative data based on 10 years of proprietary research. We develop customized survey tools based on each client’s needs. Once we get feedback from the target market, we work closely with the client’s creative team. This is also essential because they are the subject matter experts in their company’s product, positioning goals, and target customers. Generally, we function as an extension of a company’s brand champion team: the advertising agency is, in my experience, the group that is the first to recognize the need for our services. In the end, we team up with the agency and the company’s internal staff, serving as a general resource to the group. LC: What are some of the best practices you have seen in global branding efforts? CM: Understanding the need for due diligence in obtaining, understanding, and incorporating the voice of the local customer. And then, having the skills to distinguish between individual opinions and reactions to those of the larger culture. Overall? Understand your goals: why are you making these localization efforts and how effectively do they convey your company’s goals. CM: The idea that one person can assume what a culture will or will not bear. You really have to be open minded so that you are receptive to what impact a phrase or image will have in each cultural setting. A single line of copy or image can have a lasting impact — you want to do everything you can to be sure that impact is positive. Even after 20 years in the industry, and evaluating more survey responses than I can count, I learn something new every day. LC: What is your advice for those striving to communicate the importance of the local in globalization? CM: Ask your team to put themselves in the target market’s shoes. If that market receives only x percentage of localized content, the perception may be that they are only as important as the effort put into communicating with them. In terms of marketing and global branding efforts, think of the effort put into the taglines or slogans in the source language, usually English. When adapting the message to a different culture, give the effort the same level of respect. Integration versus Acquisition, that is. Certainly the latter does not preclude the former. And we expect that it will most certainly not. SDL and Idiom are making a strategic industry announcement with this move, with both obvious and subtle impacts on both the translation and content management industries. Most obvious is the influence it can have on the impact of integrating workflows, a year-long discussion we’ve having with the Gilbane community. Bringing more visibility to the Global Content Lifecycle and hopefully, more conversation on adding value throughout is a positive event. Ramifications on the state of content management interoperability, LSP neutrality, and market uptake for Idiom’s deep investment in the SaaS approach will be more subtle impacts, which will be important for our community to understand. This is not SDL’s first foray into merging the translation and content management technologies, demonstrated by May’s Tridion acquisition and the more recent investment in Trisoft, strengthening an already “deep” partnership albeit with no public announcement. Tridion caught the attention of marketing content management professionals; Trisoft should have caught the attention of techcomm content management professionals. Idiom will capture the attention of both. See our post on the main Gilbane analyst blog. And stay tuned. The Globalization Track’s “Understanding the Globalization Standards Landscape” session provided a trio of experts to content management professionals wading through the industry’s “alphabet soup” of authoring, translation, and integration standards. Moderator Kaija Poysti deftly led the audience on a road trip through a multi-dimensional standards landscape with more than a few controversial roadblocks. On a “standards reality check”: “You have no choice on some; Some are about good hygiene, but little used; and others are not ready for prime time in their current form. However, the code and content ecosystems definitely need an injection of globalization DNA.” Don DePalma, CSA. On standards benefits: “Adoption can decrease the internal cost of doing business, decrease typical business risks, facilitate business interactions, increase the value of services to clients, save on R&D and business development, and save on internal personnel training. However, there are too many private standards and too few generally-adopted public standards. Standards are notoriously difficult to develop and upon completion, they compete; be warned though, the “winning” standards not always the best ones.” Serge Gladkoff, GALA Standards Committee Chair. On synergies between content and translation management: “When these technologies work together, it streamlines processes, reduces duplication and errors, and makes publishing easier. Which standards will be around tomorrow? Take a look at Translation Memory eXchange, Segmentation Rules eXchange, XML Localisation Interchange File Format (XLIFF), and TermBase eXchange.” Andrew Draheim, Dig-IT!. Many thanks to our panel for guiding our audience through the globalization standards landscape with candor and real-world advice. Translations.com, a leading provider of technology-enabled language solutions, announced that it has completed a merger with Adams Globalization, a localization service provider with over 25 years’ experience. Financial terms of the deal were not disclosed. Austin-based Adams Globalization will become a division of Translations.com and will continue to be led by current President Bernd Cafulli, a veteran of the localization industry. Cafulli will join the senior management team of the combined companies and report to Translations.com Vice President, Hans Fenstermacher. Fenstermacher joined Translations.com as the result of a merger in May 2006. Allan Adams, Founder and Chairman of Adams Globalization, will be retiring from the business. Adams’s localization services team will remain in place and continue to serve their clients going forward.